Aniseed (Pimpinella anisum) Essential Oil - 1 dram in amber glass bottle with free plastic pipette. Our essential oils are pure and undiluted. Also available in a 10 ml Amber Glass Bottle with Dropper Insert and Screw on Black Cap. Birch (Betula lenta) Essential Oil - 1 dram in amber glass bottle with free plastic pipette. Our essential oils are pure and undiluted. Also available in a 10 ml Amber Glass Bottle with Dropper Insert and Screw on Black Cap. Clove Bud (Syzygium aromaticum L.) Essential Oil - 1 dram in amber glass bottle with free plastic pipette. Our essential oils are pure and undiluted. Also available in a 10 ml Amber Glass Bottle with Dropper Insert and Screw on Black Cap. 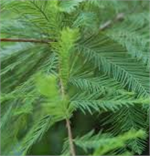 Cypress (Cupressus semperviren) Essential Oil - 1 dram in amber glass bottle with free plastic pipette. Our essential oils are pure and undiluted. Also available in a 10 ml Amber Glass Bottle with Dropper Insert and Screw on Black Cap. 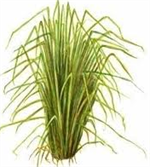 Lemongrass (Cymbopogon flexuosus) Essential Oil - 1 dram in amber glass bottle with free plastic pipette. Our essential oils are pure and undiluted. Also available in a 10 ml Amber Glass Bottle with Dropper Insert and Screw on Black Cap. Myrrh (Commiphora myrrha) Essential Oil - 1 dram in amber glass bottle with free plastic pipette. Our essential oils are pure and undiluted. Also available in a 10 ml Amber Glass Bottle with Dropper Insert and Screw on Black Cap. Pine (Pinus nigra) Essential Oil - 1 dram in amber glass bottle with free plastic pipette. Our essential oils are pure and undiluted. Also available in a 10 ml Amber Glass Bottle with Dropper Insert and Screw on Black Cap. 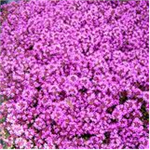 Red Thyme (Thymus vulgaris) Essential Oil - 1 dram in amber glass bottle with free plastic pipette. Our essential oils are pure and undiluted. Also available in a 10 ml Amber Glass Bottle with Dropper Insert and Screw on Black Cap. Vetiver II (Vetiveria zizanoides) Essential Oil - 1 dram in amber glass bottle with free plastic pipette. Our essential oils are pure and undiluted. Also available in a 10 ml Amber Glass Bottle with Dropper Insert and Screw on Black Cap. Wintergreen (Gaulthjeria procumbens) Essential Oil - 1 dram in amber glass bottle with free plastic pipette. Our essential oils are pure and undiluted. Also available in a 10 ml Amber Glass Bottle with Dropper Insert and Screw on Black Cap.